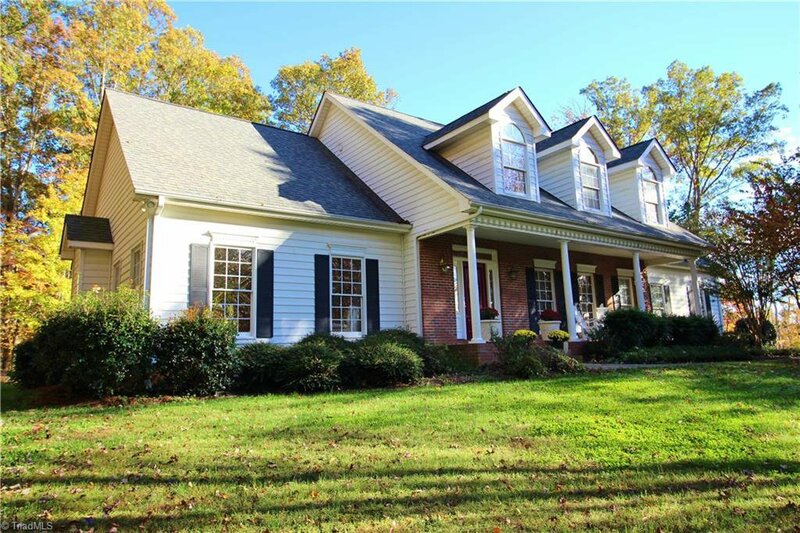 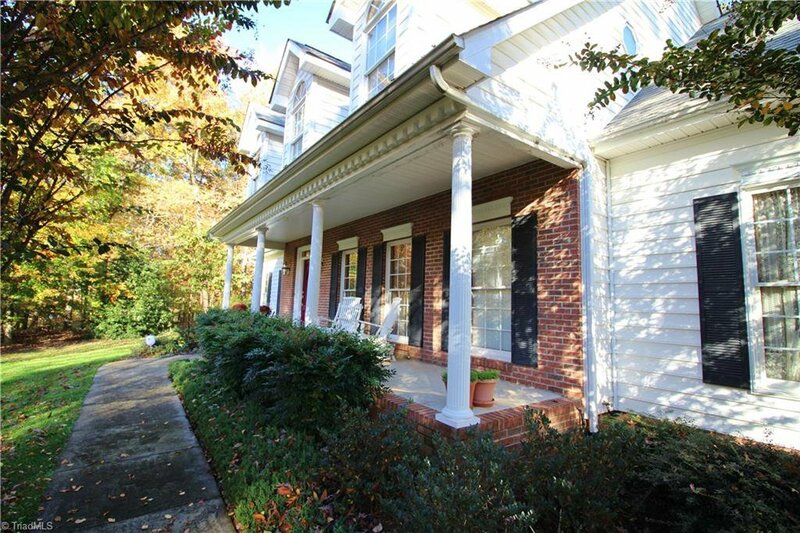 NW GUILFORD COUNTY 3BR 2.5BA Brick & Vinyl Cape Cod! 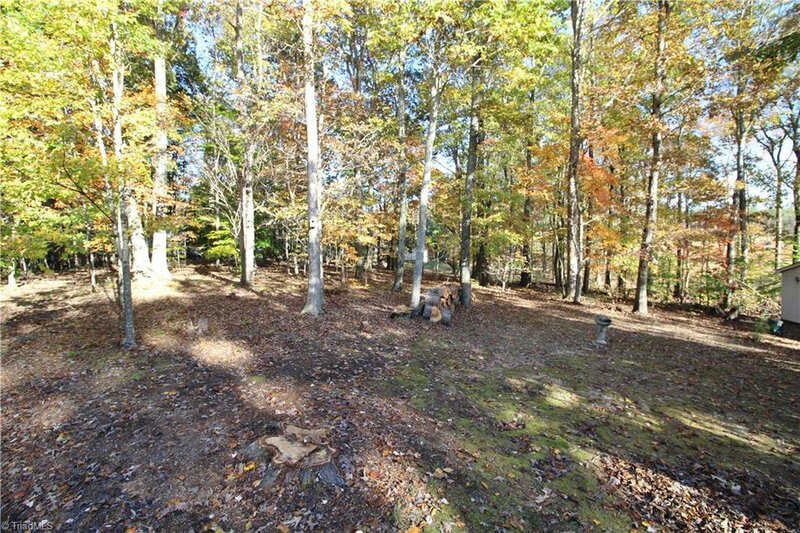 Approx 1.69 acre well landscaped lot on dead end street. 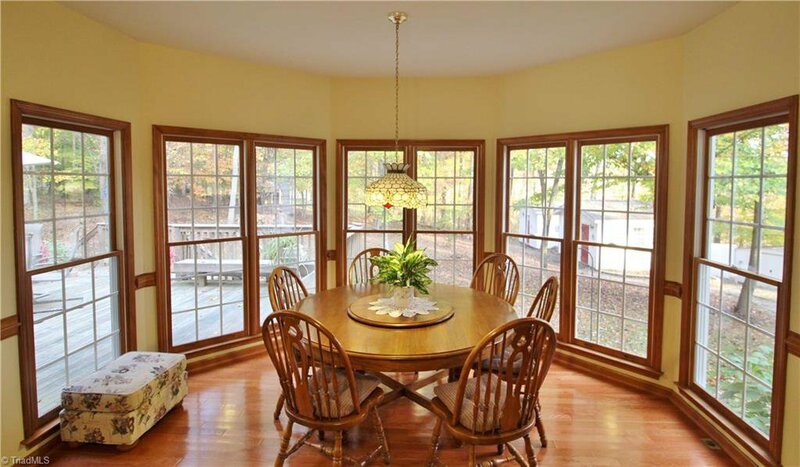 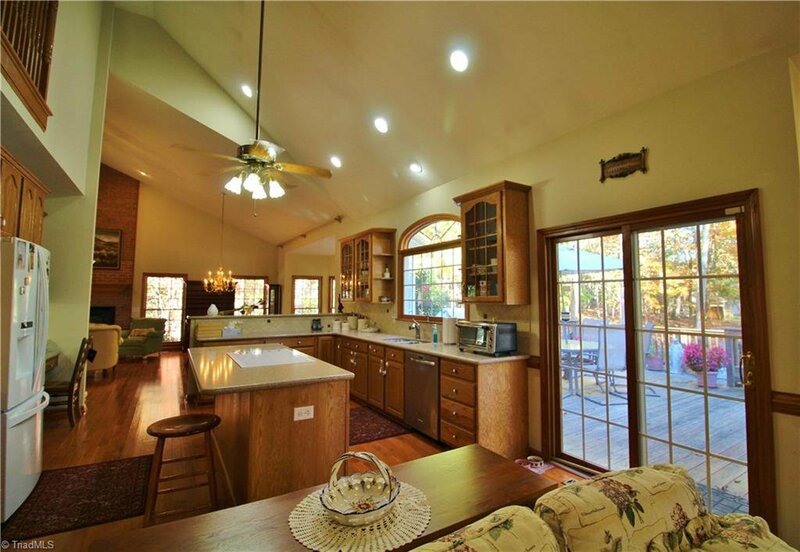 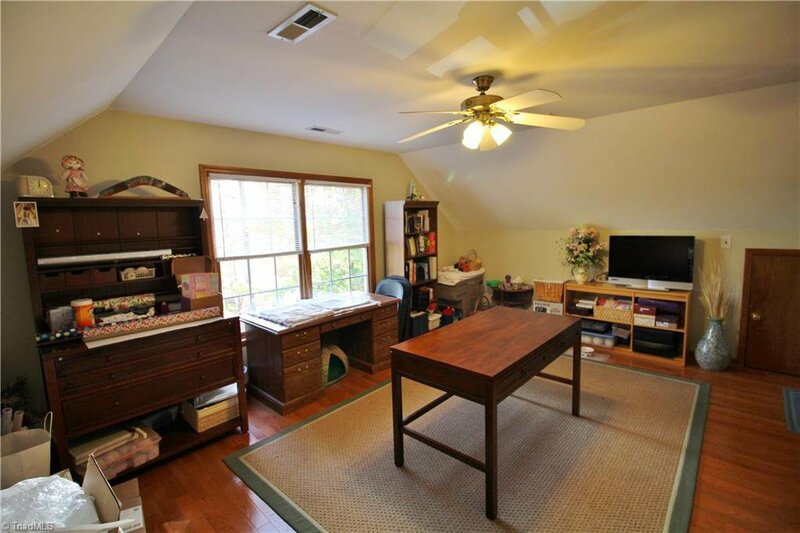 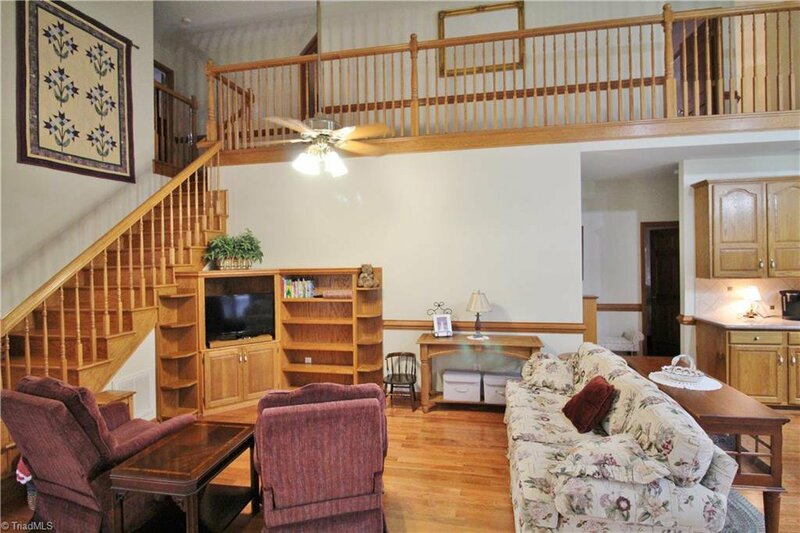 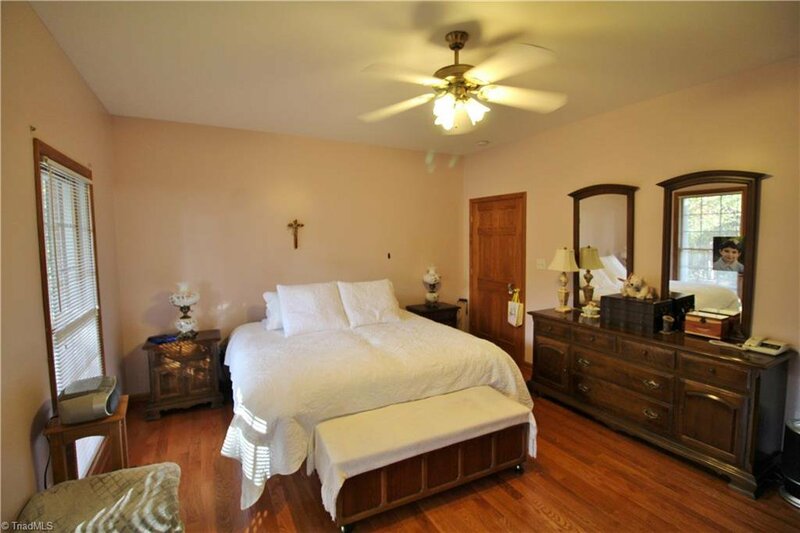 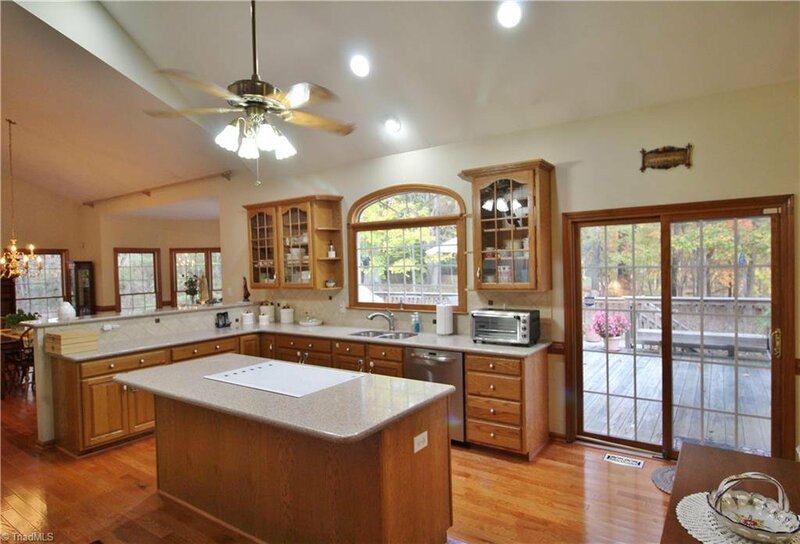 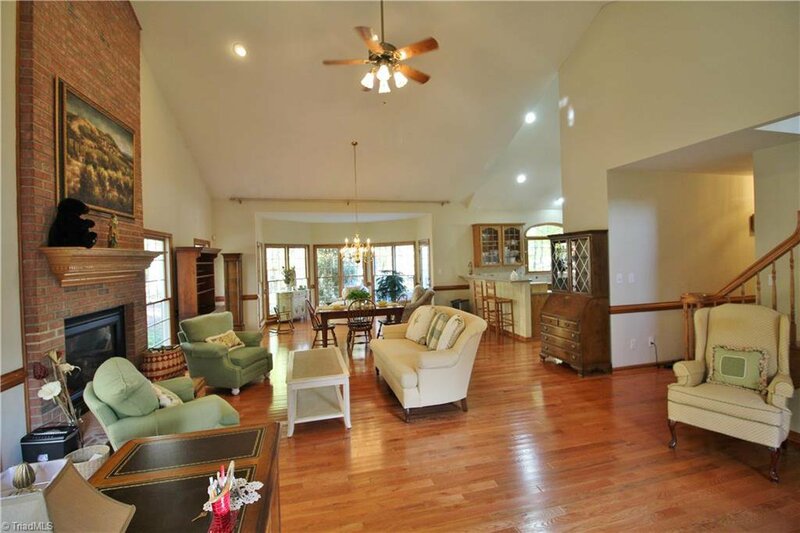 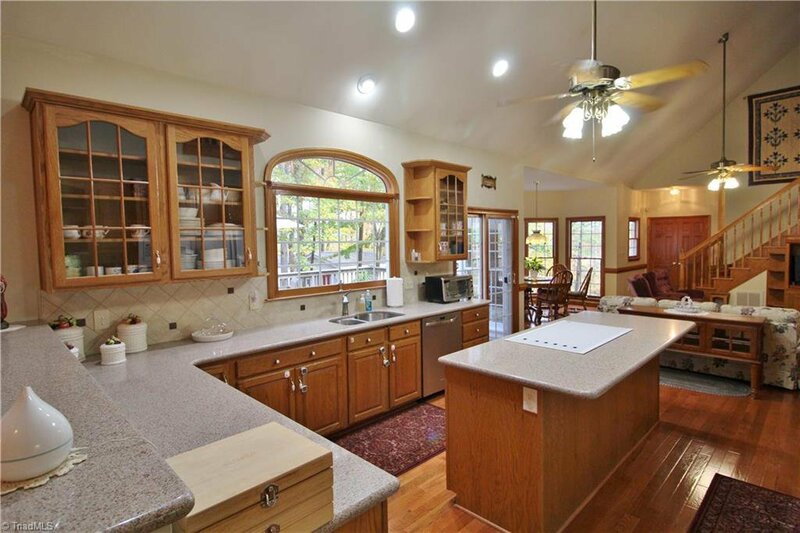 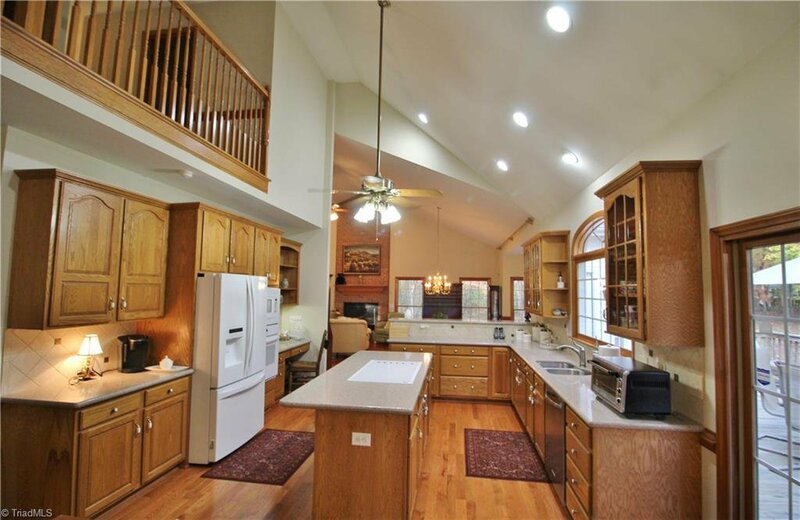 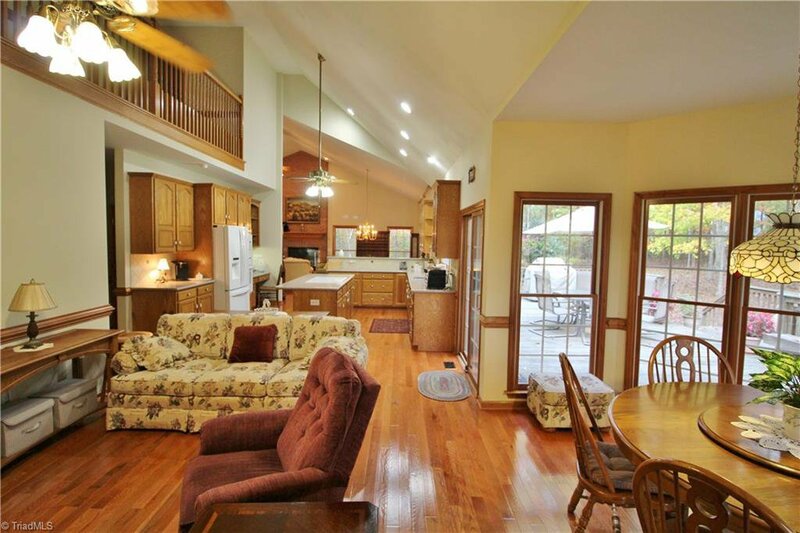 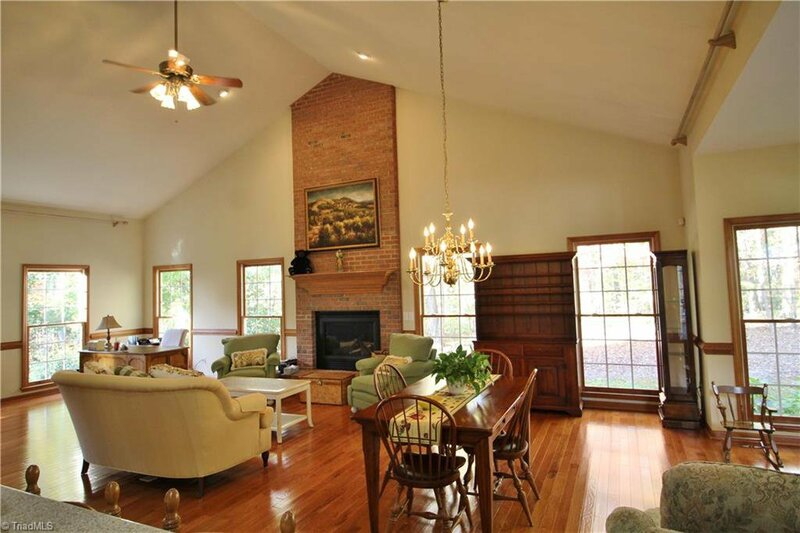 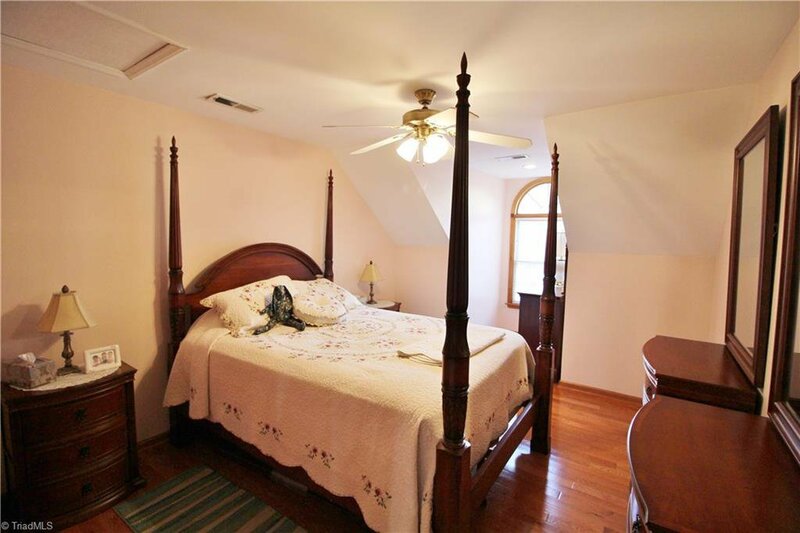 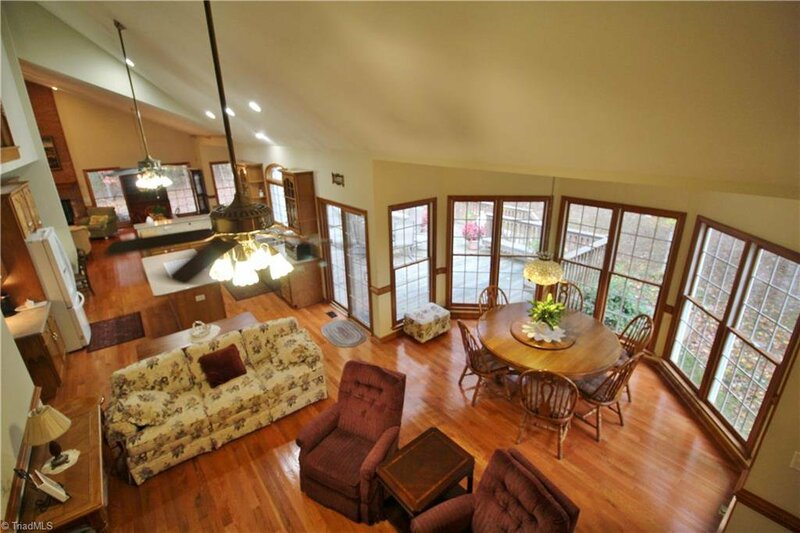 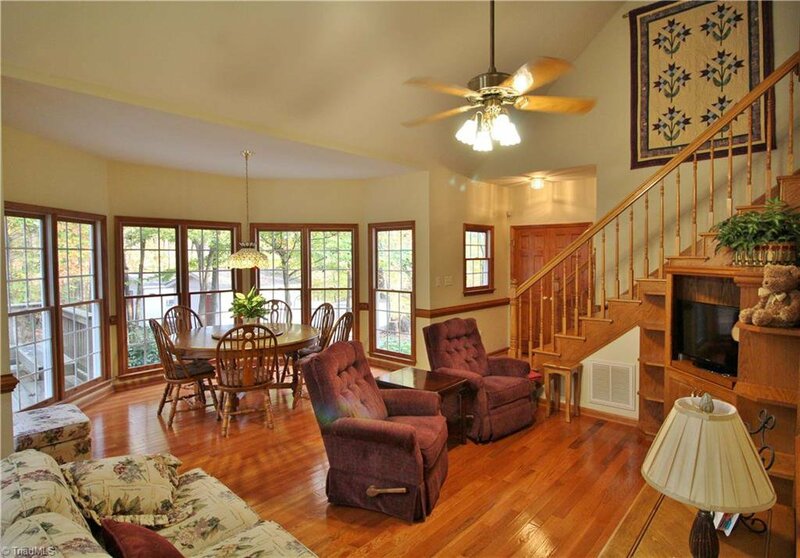 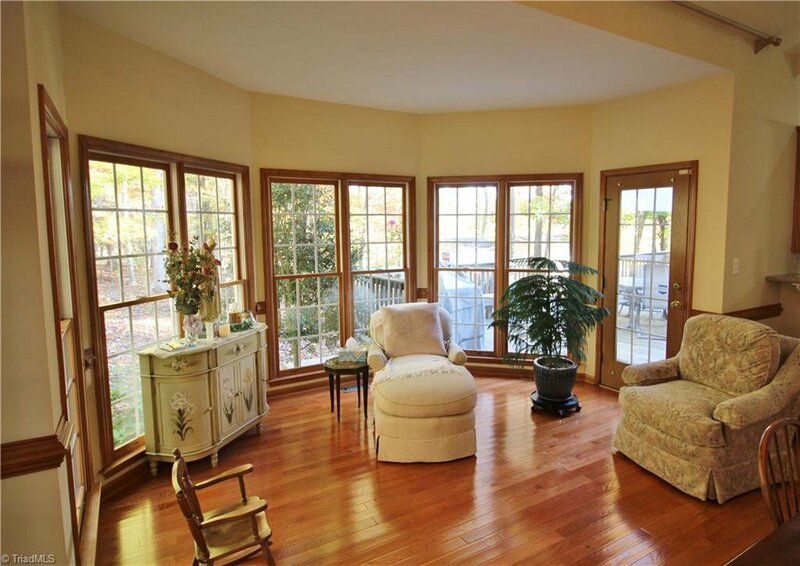 Open floor plan has grand feel w/vaulted ceiling, lots of windows & 2 staircases. 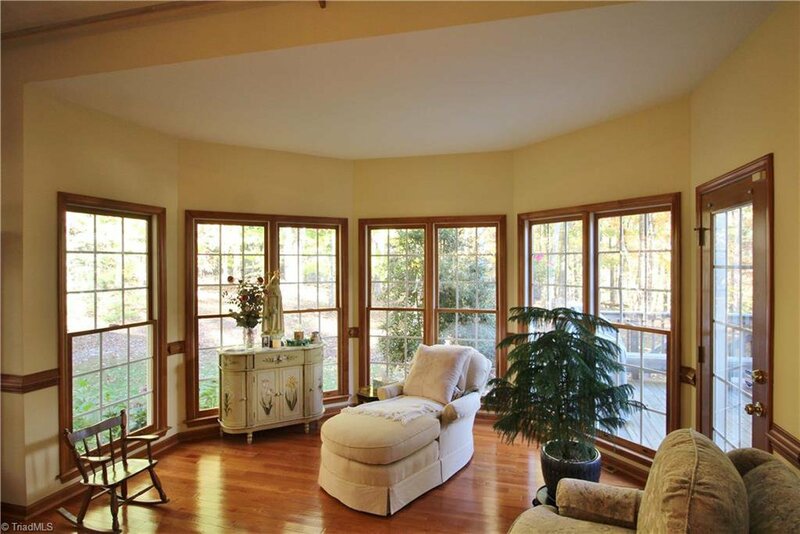 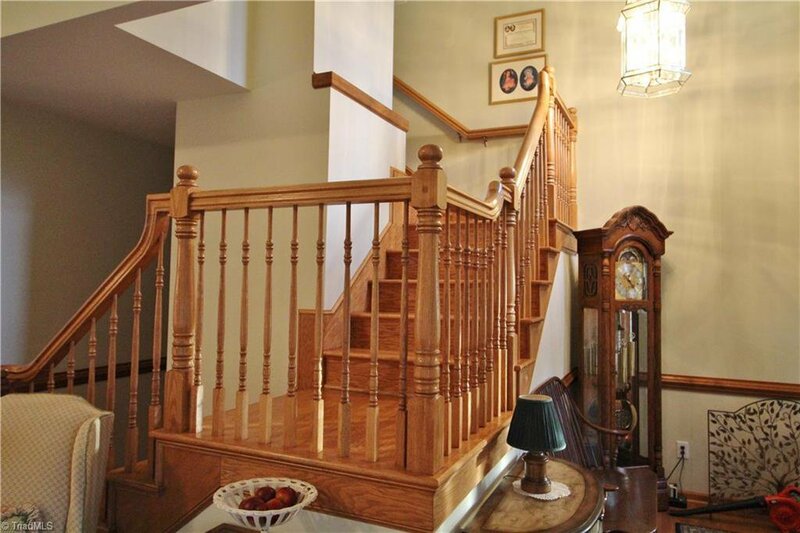 Hardwood flooring throughout all living areas & bedrooms. 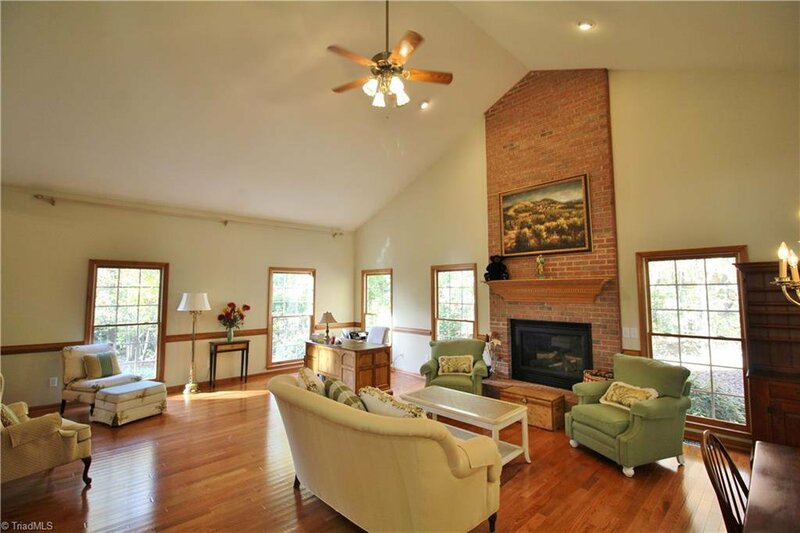 Living rm w/brick gas log fpl. 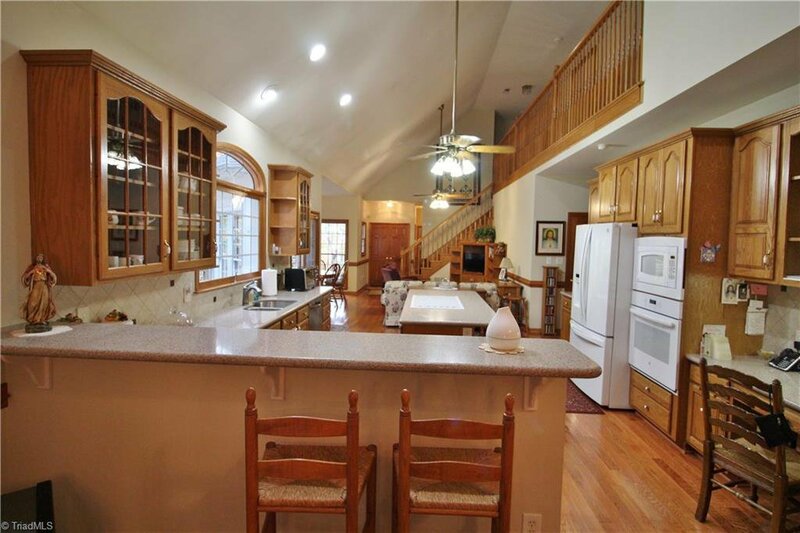 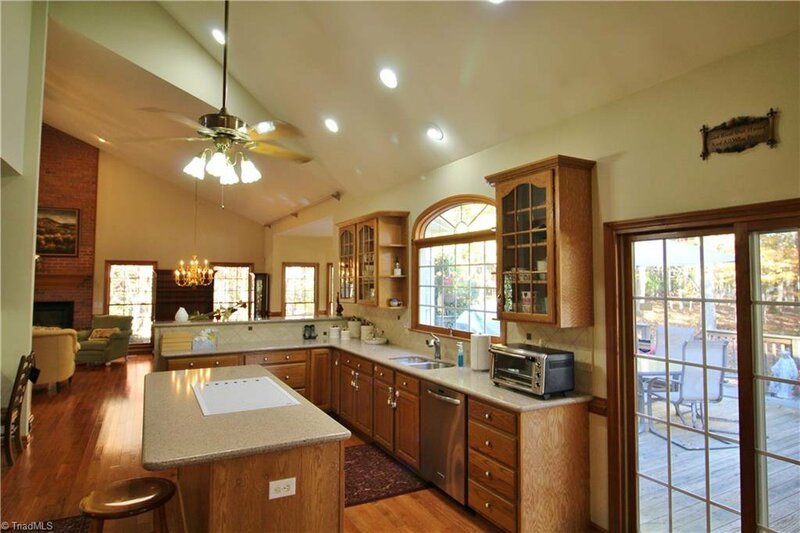 Spacious kitchen features quartz countertop, tile backsplash, cooktop island, some glass front cabinets & lg pantry. 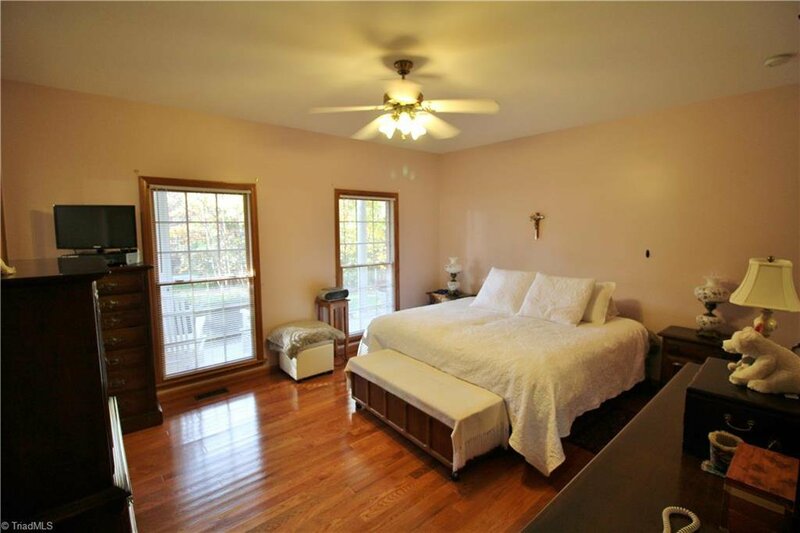 Master suite has lg walk-in closet & quartz countertop in bath. 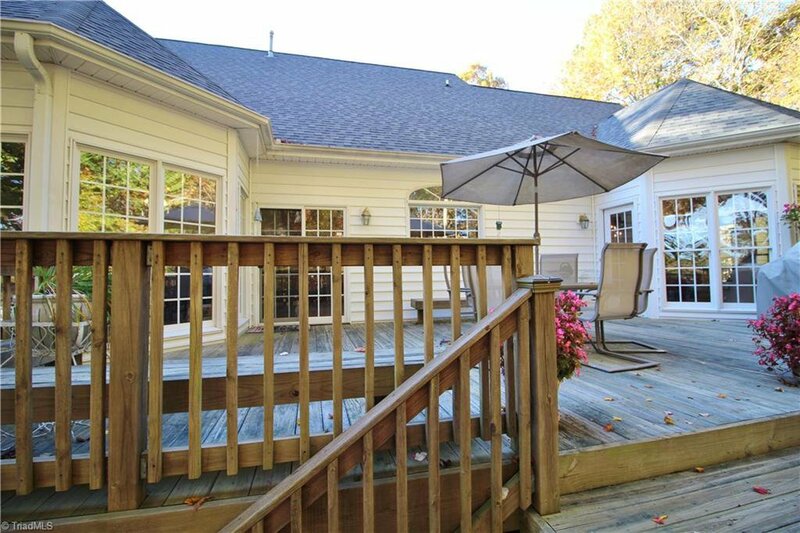 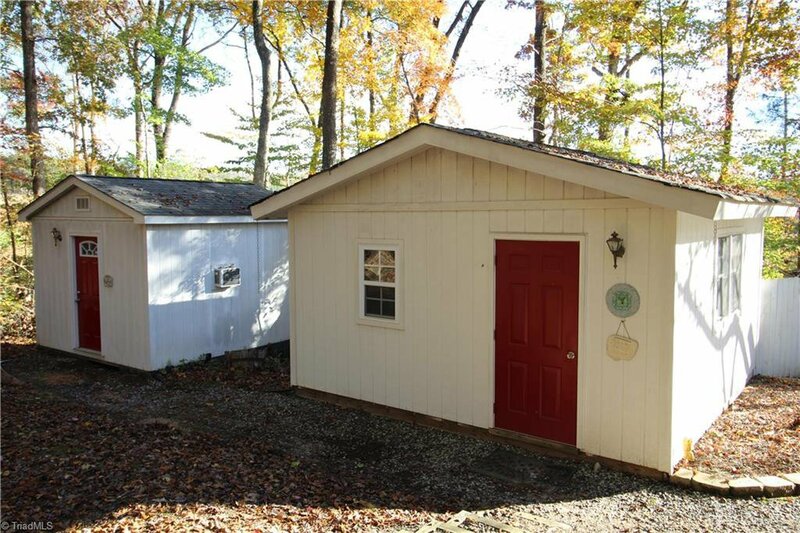 Lg deck, 2 outdoor studios w/electricity & shed. 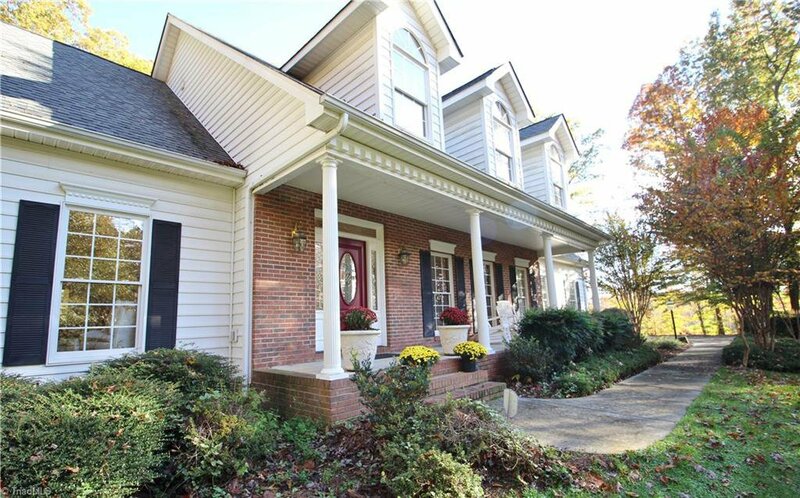 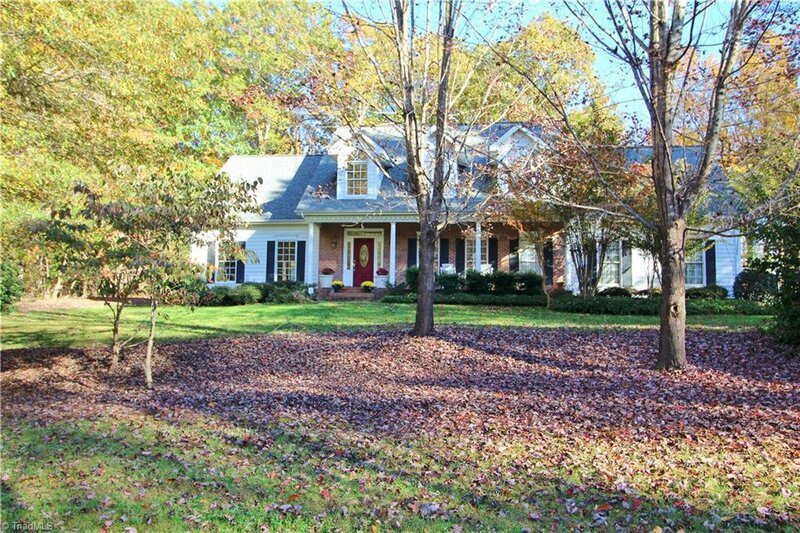 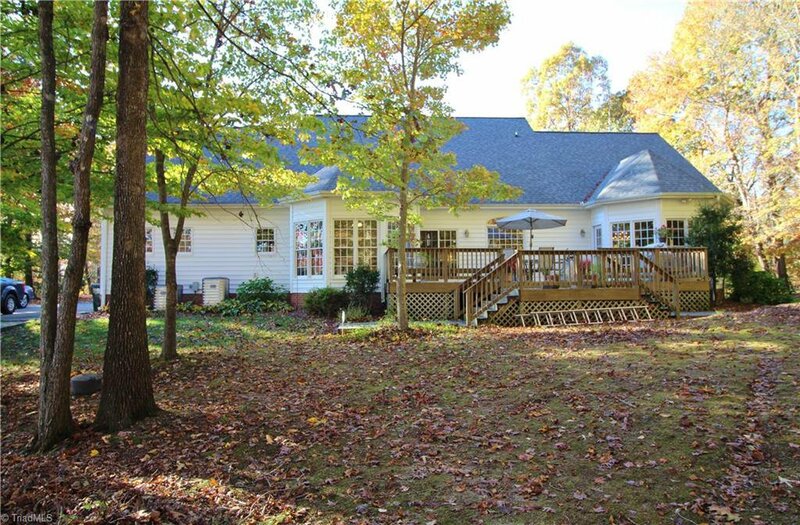 Listing courtesy of HELP-U-SELL OF GREENSBORO. 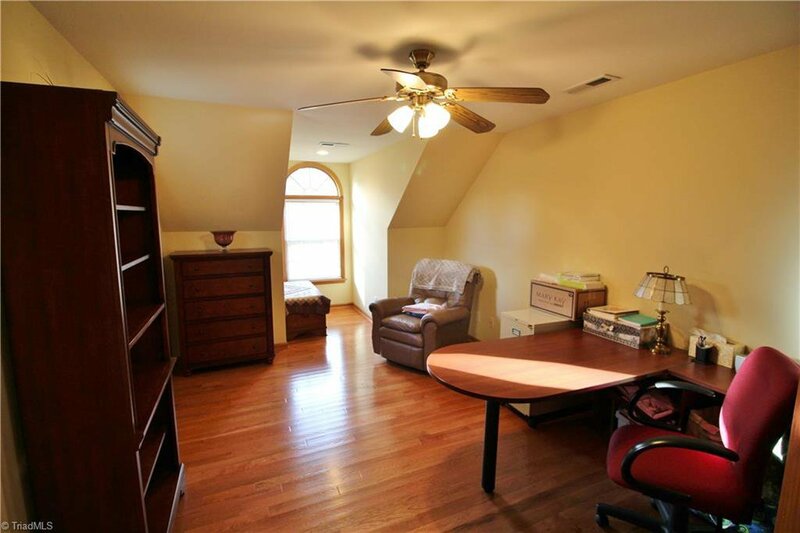 Selling Office: GreatNest.